MA ANCHE SUI VOSTRI TESSUTI!! CUSCINI QUADRATI, A FORMA DI CUORE, DI LUNA, STELLA OPPURE TONDI. CUSCINI PICCOLI CON VENTOSA O CON ANELLA. 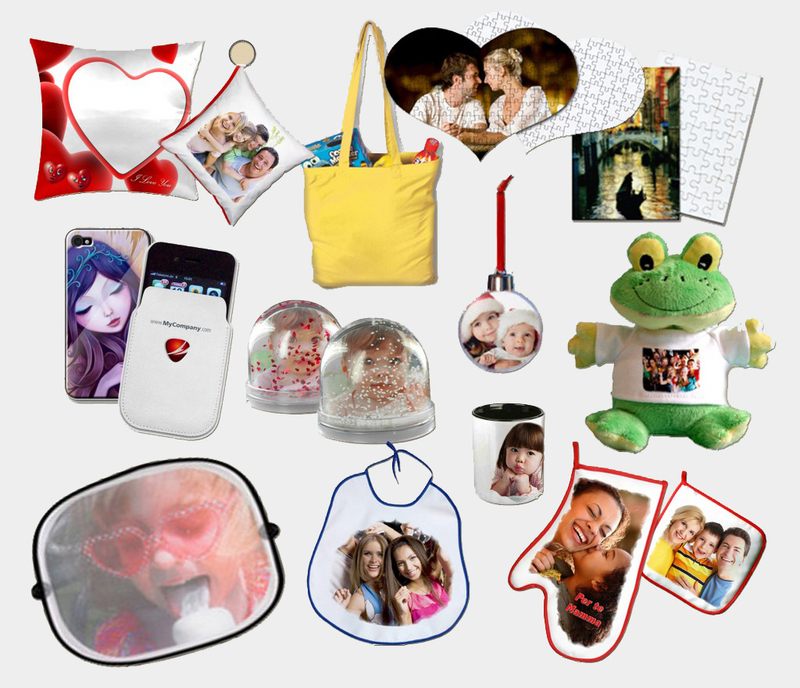 TAPPETINI MOUSE, RIGHELLI, TAZZE, PORTAPENNE, PUZZLE RETTANGOLARI E A FORMA DI CUORE, PALLINE NATALIZIE, PHOTOGLOBE CON NEVE, BRILLANTINI, FIORELLINI, CUORICINI. CALENDARI ANNUALI E MENSILI, DA APPENDERE, DA TAVOLO E TASCABILI. SEGANLIBRI PERSONALIZZABILI. POSTERS REALIZZATI ANCHE CON PIU’ FOTO, FOTORITOCCHI E FOTOMONTAGGI. MAGLIETTE BIMBO A BORDO, TENDINE PARASOLE PERSONALIZZATE CON L’IMMAGINE CHE VUOI TU! BAVETTONI E BAVAGLINI PER BAMBINI, GREMBIULE DA CUCINA, GUANTO E PRESINA. CRAVATTE PERSONALIZZATE. E T-SHIRT SQUADRE CON SCONTI SULLA QUANTITA’! !